The clever, multi-purpose adhesive that is removable and reusable. 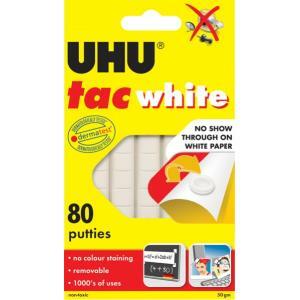 UHU® Tac is German made and ideal for sticking your items up or down to walls, desks or windows! No colour staining and easy-to-use! Strong and re-usable. 80 putties per pack is an ideal size for all your office needs.